This is another photo from the archives — taken back in 1978 in Fort Erie, Ontario along the Niagara River with one of those old Kodak pocket cameras — thus the fine quality you see here! 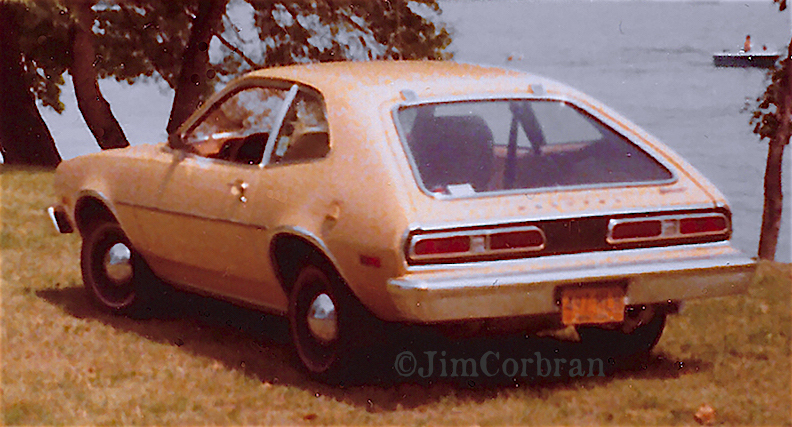 Anyhow, this was my ride back in the day, a 1977 Mercury Bobcat in a sort of Butterscotchy color. I added the whitewalls and Baby Moons, and blacked-out the back panel and the grille. I owned this car for about six months when it was hit in the back end, suffering not a lot of damage, but I traded it in anyway after repairs were made. When you’re in your twenties you do things like that!